We live in the world where everything is connected. Our any deeds have the reflection in something other. Right or wrong, they have impact at our surroundings. Planted kindness today, gives its fruits of wellness tomorrow. We all are citizens of the Earth though we are different. To have peace in the world, we have to find peace in ourselves. Look at others with love. They are the same as you with their fears and hope. "I dream of the day..." Today is that day! We make our future with our own hands. Just take an advantage to do the first step to be what you have to be. People come in this world to find their own way to discover the best qualities of personality. They are free to choose what is the right for them and to refuse what they don't like. I believe in God and you can believe in anything else but being together as the best friends it can give us a lot. 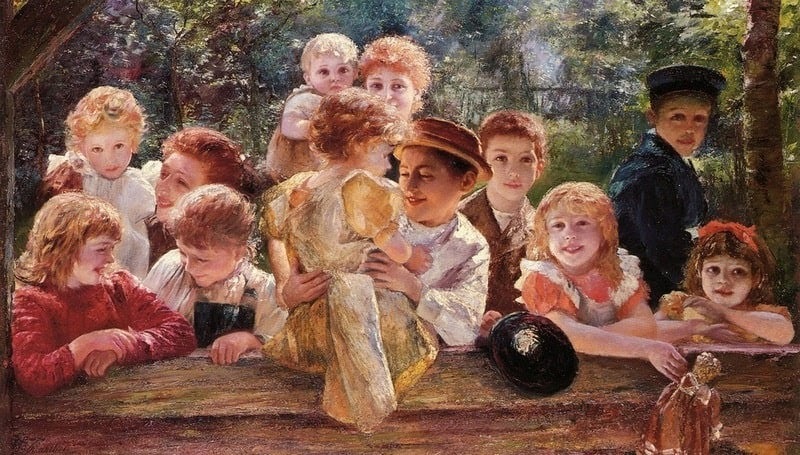 * Painting "Happy Children" by Paul Barthel (German artist, 1862 – 1933).